Black garlic is put fresh raw garlic on the black garlic fermentation machine about 60 days, allowed to naturally fermented foods. Peeled Black garlicis made from white garlic after being peeled and fermented. 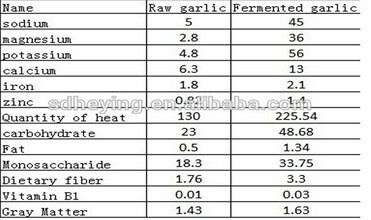 So the composition and efficacy of whole black garlic and peeled fermented black garlic is the same. 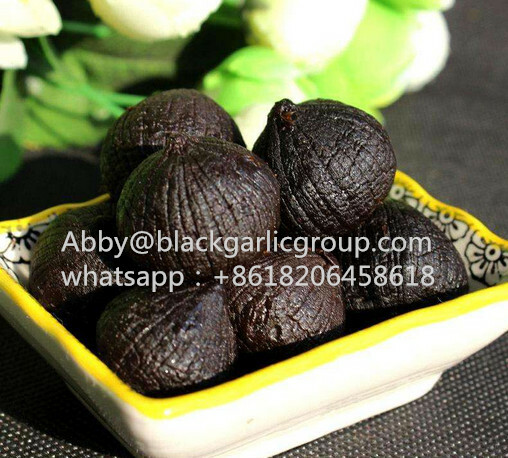 The essence of human aging is oxidated, while the black garlic super antioxidant function is that can have a very good condition for more effective the main reason, while it also has a very good care therapeutic effect to the diseases which cause weak multi-ability . Experiments show that the fat-soluble volatile oil which the black garlic can increase macrophage phagocytic function significantly, and can enhance the role of the immune system. Allicin has a lipid-activated by the sugar composition of membrane function, can increase its permeability, enhance the metabolism of the cell, energy improved, corresponding strengthening of immunity. Lysine, serine have to improve immune function, vitamin C can also enhance the body's immunity. Black garlic contains zinc involved in the synthesis of hormones to improve the body's immune system. 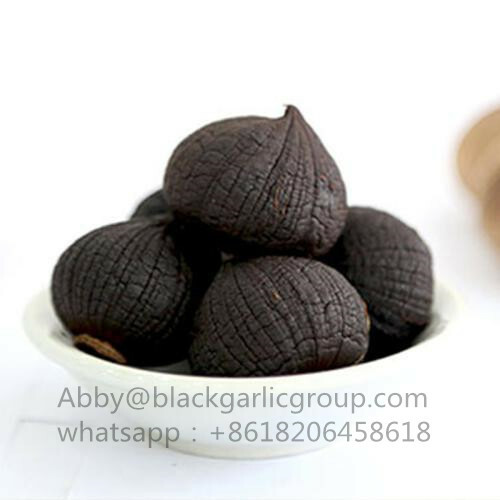 A: We chose the white garlic with 5.5-6.5cm to make multi bulb black garlic.There are several different specificcations for a single bulb black garlic 2cm,2.5cm,3cm,3.5cm.